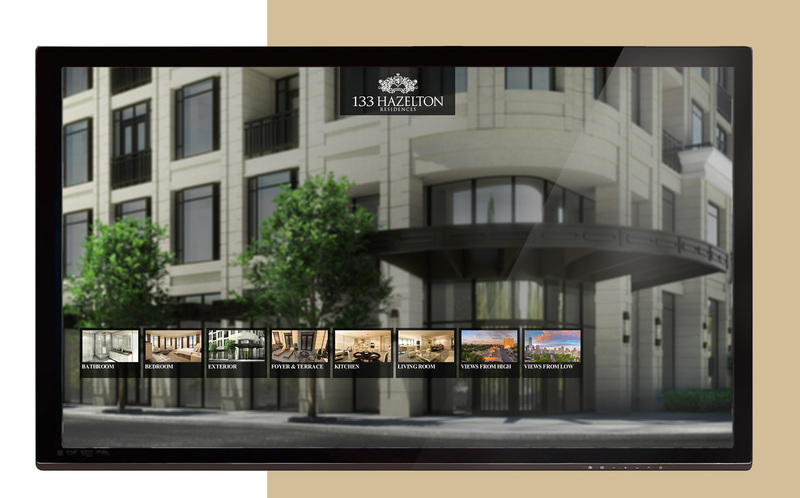 Mizrahi & Khalili Developments worked with Phosphorus Media to develop a touch screen sales maximization tool for its luxury condo development. 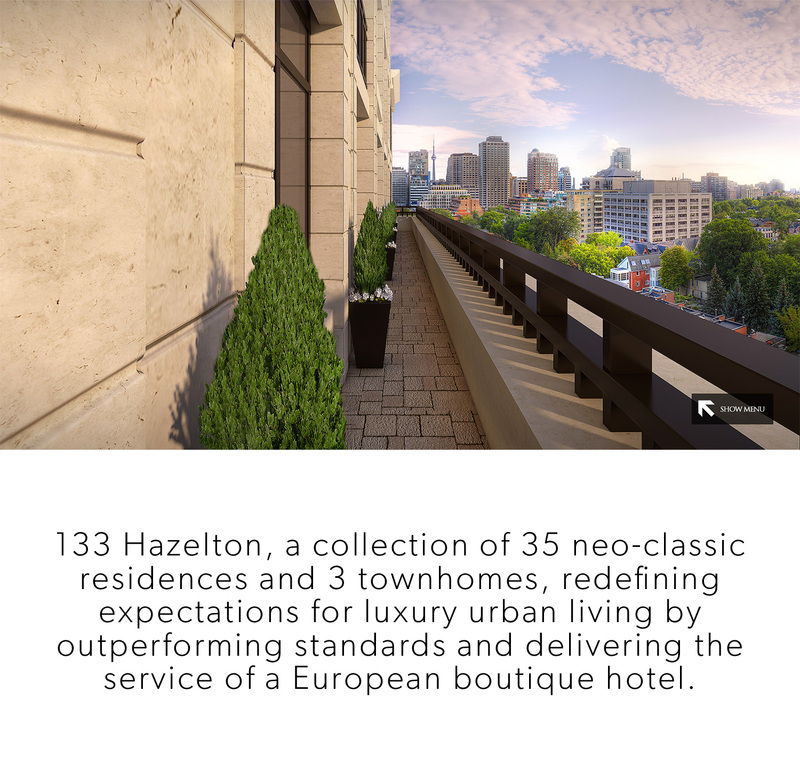 133 Hazelton is located at one of Yorkville's most exclusive residential street corners, Hazelton Avenue and Davenport Road in Toronto. 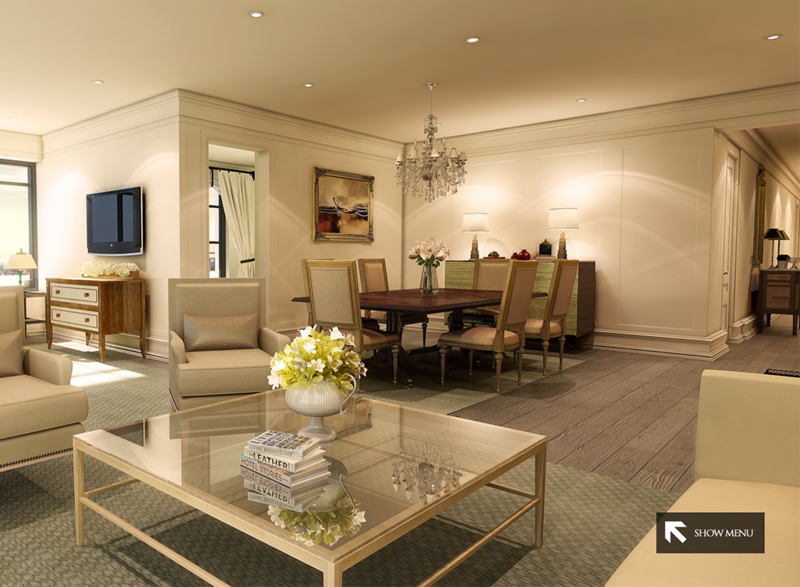 The touch screen application was developed to compliment the interior design selections by the Gluckstein interior design. 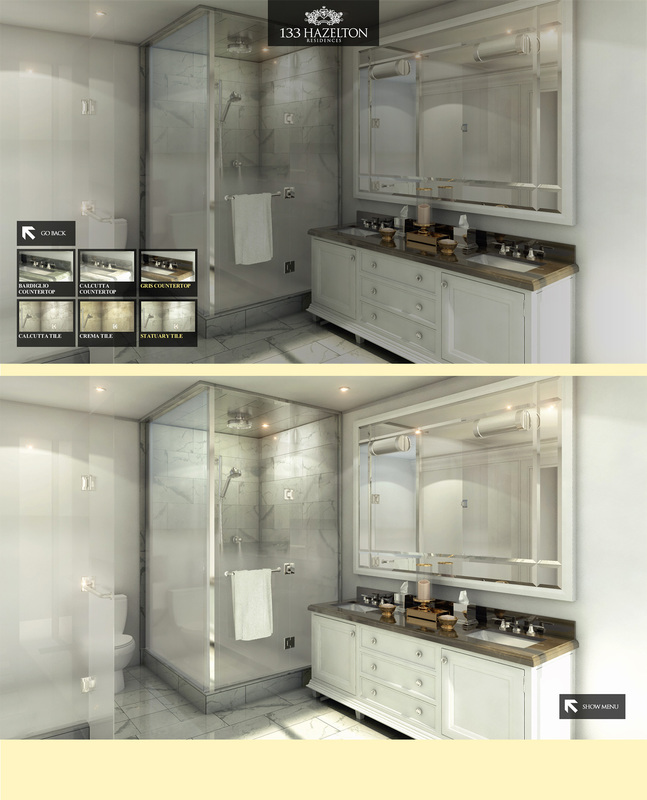 Buyers were able to combine the use of physical textured swatches held in the sales design centre with the touch screen application. 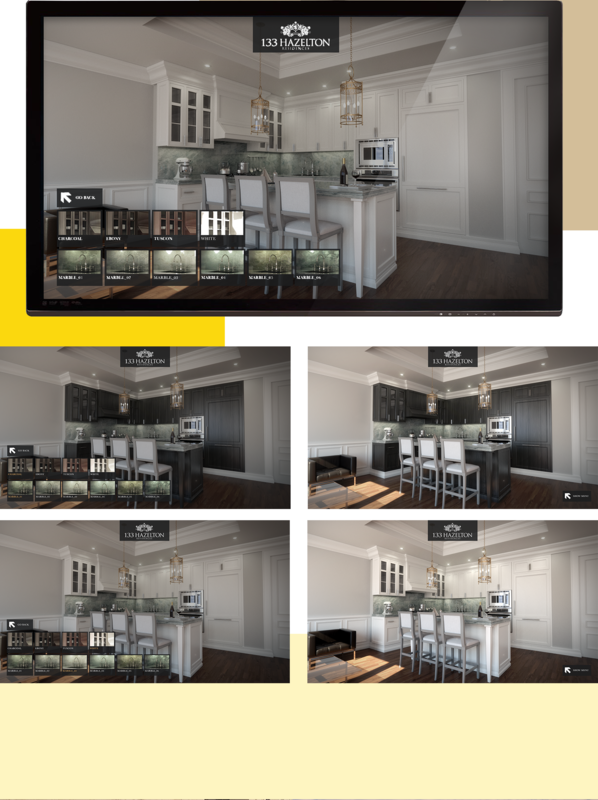 The fusion of traditional physical samples and accurate, photo realistic, renders helped the potential buyer to visualize what various countertops and cabinet selections looked like.